The dimension of a cubic yard is 3'x 3' x 3' for a total of 27 cubic feet. 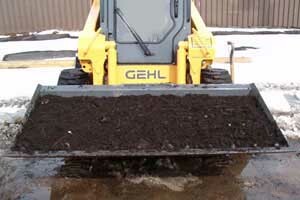 How do I know I am delivered the correct number of cubic yards? 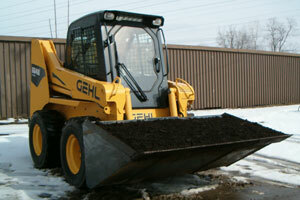 Each of our loaders is equipped with a certified 1 yard bucket. Our drivers are trained on exactly how to use these buckets so that they load exactly one yard at a time. 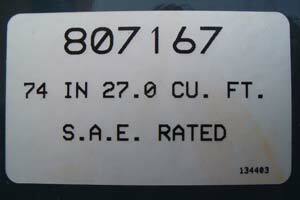 Our drivers utilize a counting method installed on the loader to ensure their count is accurate. Our company policy states that if a driver loses count he is to error in favor of the customer. 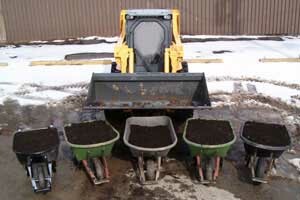 Our one yard bucket will fill four and one half 6 cubic foot capacity wheelbarrows.